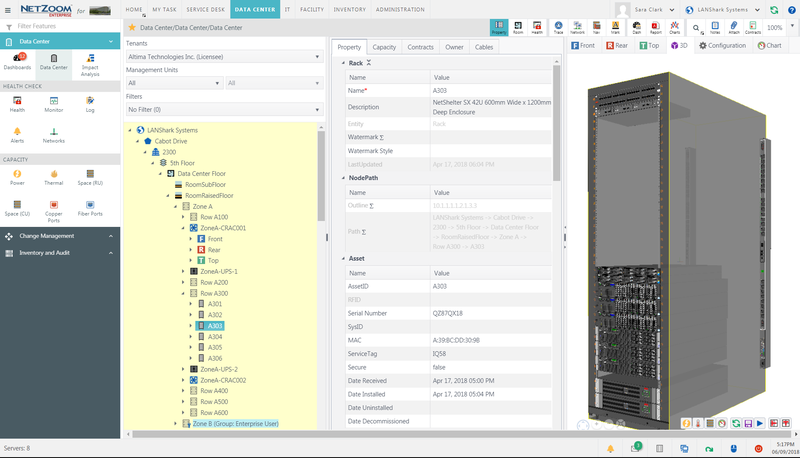 With NetZoom, users accurately model Asset configurations and rack cabinets once and reused them for each installation of the model. Accurate modeling provides information for management to the card, module and port level. 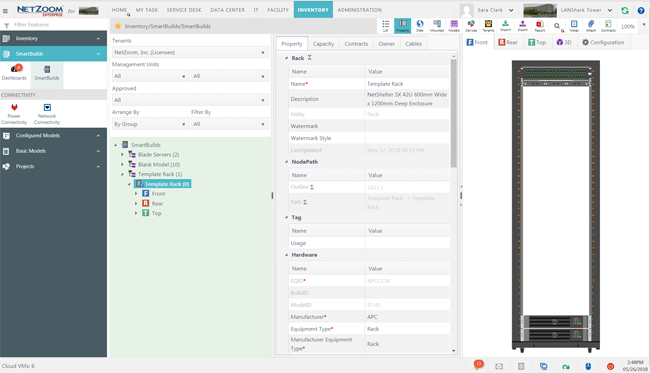 NetZoom manages the complete Inventory lifecycle starting from Modeling, to Procurement, Receiving inventory and assigning of asset tags, Deployment, Maintenance and Change until Decommission. 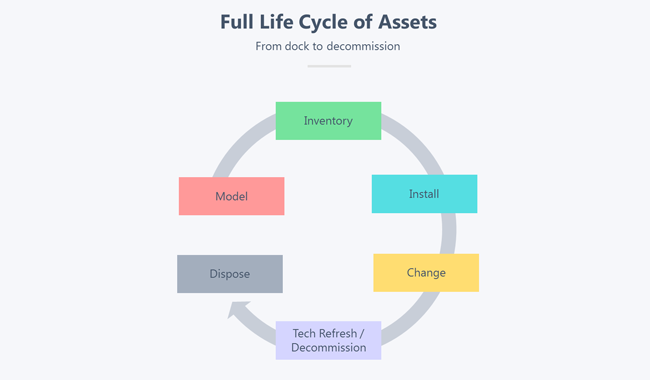 A complete log is maintained throughout the lifecycle of the asset. Inventory stores organize available inventory for easy deployment. 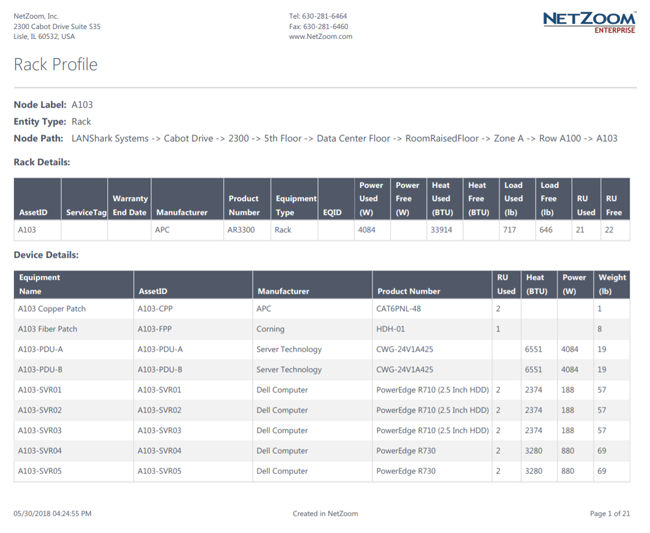 Devices from the NetZoom Device Library are pre-populated with identifying asset information including manufacturer, product model, product line; dimension information; configuration information like ports, slots and modules; capacity information including power load, weight and rack units. 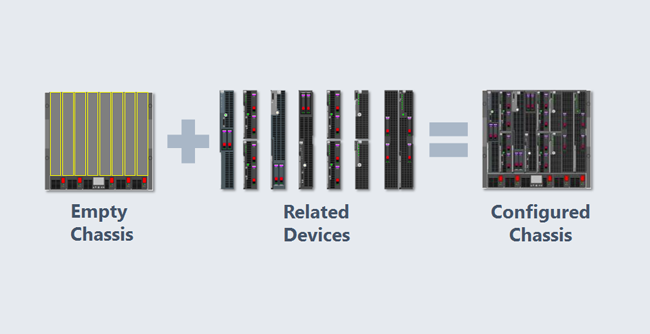 NetZoom automatically maintains device location information, RU position, IPs, device associated Resources, contract information and computed capacity metrics. Visit the data center virtually from your desk with 2D & 3D visualization of devices, racks, locations, floors and buildings. 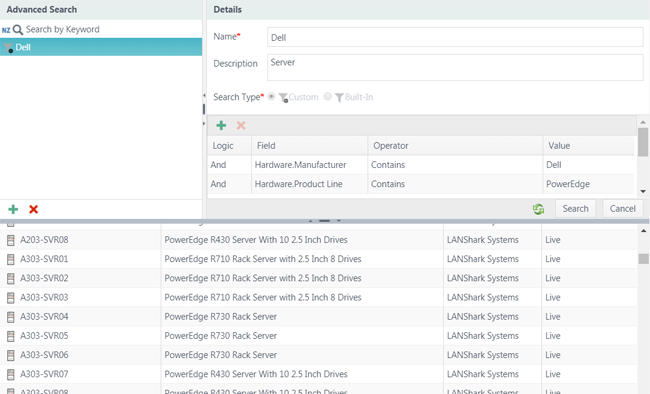 Users can locate and virtually navigate to devices deployed anywhere in the data center by searching any identifying information like AssetID, Serial Number, Service Tag, RFID Tag, IP address or user defined fields. Users can also use advanced search criteria based on any number of properties or computed expressions. 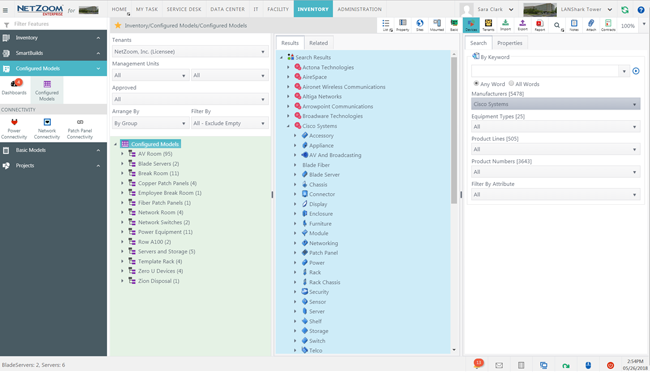 NetZoom automatically maintains device location information, RU position, IPs, device associated Resources and contract information. There are dozens of ready-to-use and customizable asset reports, analytics and dashboards available throughout NetZoom.